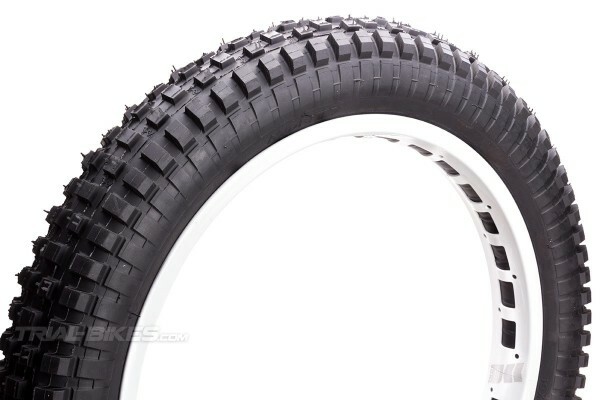 - 19” rear tyre specifically designed for Bike Trial by Spanish brand Monty. 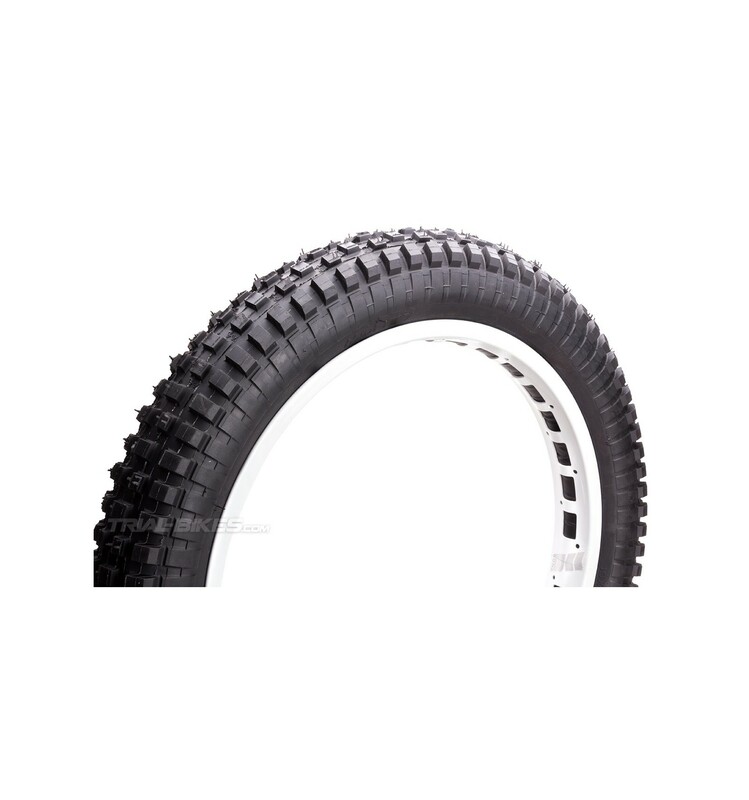 - This is the tyre supplied with last years’ Monty Kamel 218 and 129 bikes. - Soft compound (51a) offers great grip while ensuring a long life. 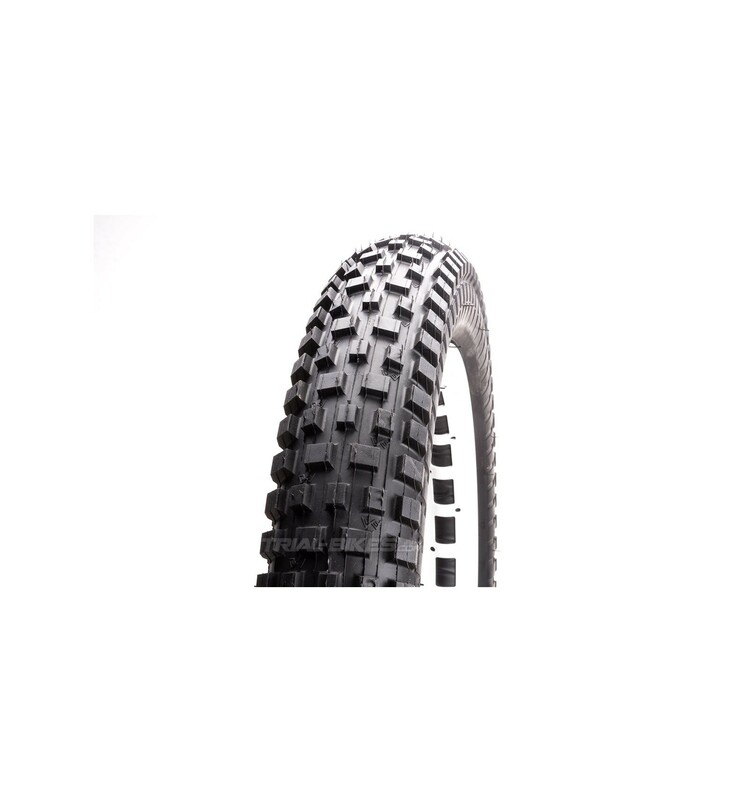 - Extra-wide 2.7” (72mm) construction, which provides extraordinary stability when on the back wheel. 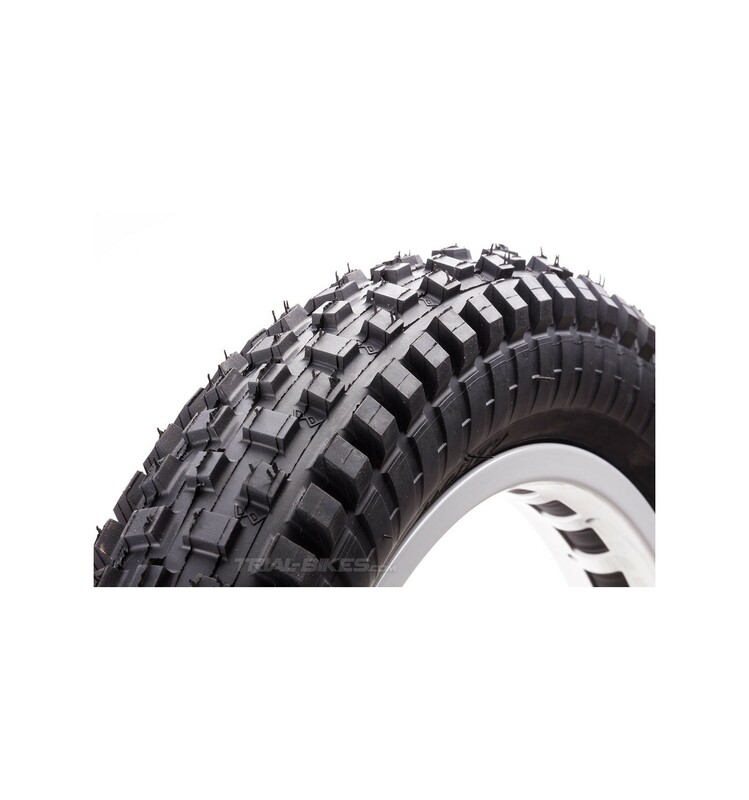 - Traditional tread design features small blocks, as proved to be the most versatile pattern in all conditions. - Please note: this tyre is designed for a 19” rim (rear rim) despite being marked as 20” on the sidewalls. - Available in black, without graphics.